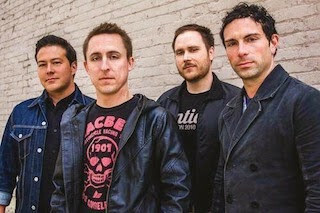 Yellowcard is currently out on a co-headlining tour with metalcore outfit Memphis May Fire (remaining tour dates here) supporting their latest album release in Lift A Sail. The pop-punk legends have released a new music video for their latest single “The Deepest Well.” The music video consists of concert footage from the current tour with an appearance by Memphis May Fire frontman, Matty Mullins. Mullins originally contributed vocals during the recording of Lift A Sail. Check out the video below and don’t forget to head out when the tour comes to a city near you!